Apple’s big event has produced one more digital device – the expected iPhone SE smartphone. The new communicator has become Apple’s cheapest iPhone to date – the device sells for USD 399. The new iPhone SE smartphone comes with the same 4-inch display seen in older and also cheap iPhone smartphones. The display here works at 1136 x 640 pixels and brings 500 cd/m² of brightness. Inside the iPhone SE carries an Apple A9 SoC with an M9 co-processor. Apple has, however, failed to announce the amount of RAM inside the iPhone SE, but chances are the device comes with 1 GB of RAM. 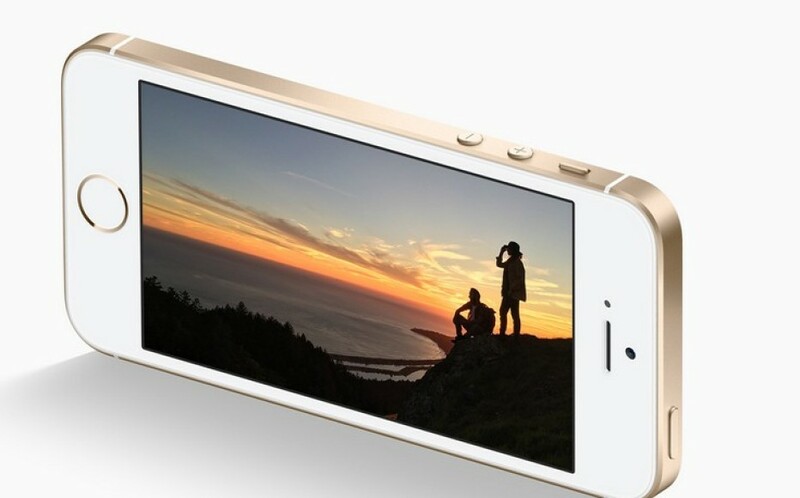 The device supports NFC and has a fingerprint reader as well as a 12 MP rear camera that can record 4K video. The smartphone has 16 GB or 64 GB of internal memory depending on the version chosen and an improved battery that can last for up to 13 hours while playing video. The iPhone SE will be available in four colors – Silver, Gray, Rose Gold and Space Gray. The iPhone SE, which measures 123.8 x 58.6 x 7.6 mm, will sell for USD 399 for the 16 GB version and USD 499 for the 64 GB version.